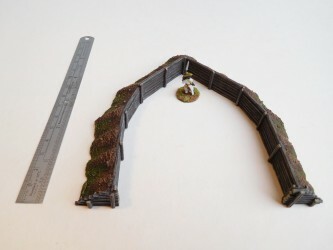 Hastily constructed but effective, these field defences would usually be manned by infantry with or without field guns and would be used to protect a variety of tactically important positions. Suitable from around 1550 to 1800 for most European and North American conflicts. 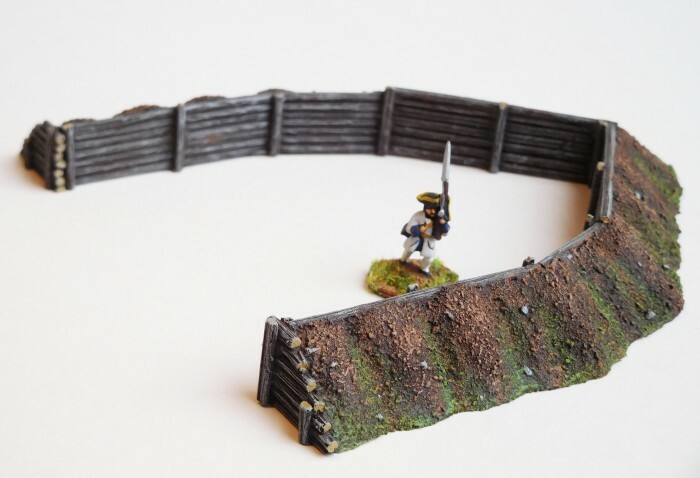 Fully cast in solid resin, this model is compatible with all the other pieces from this range, allowing any shape of defensive system to be reproduced. 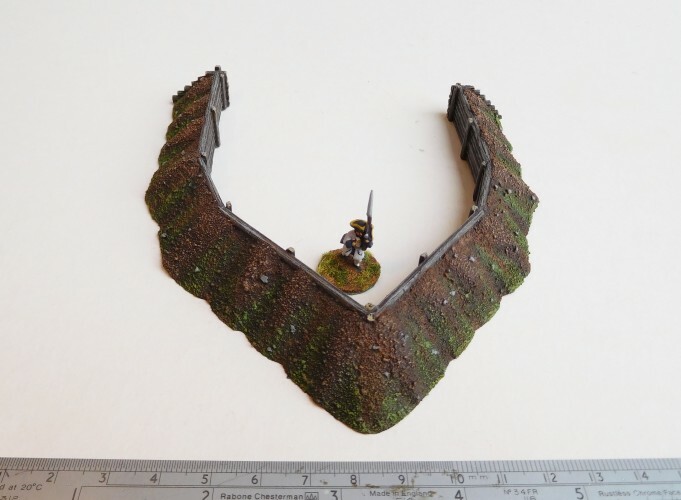 Supplied in raw resin or fully painted as shown in the photos. 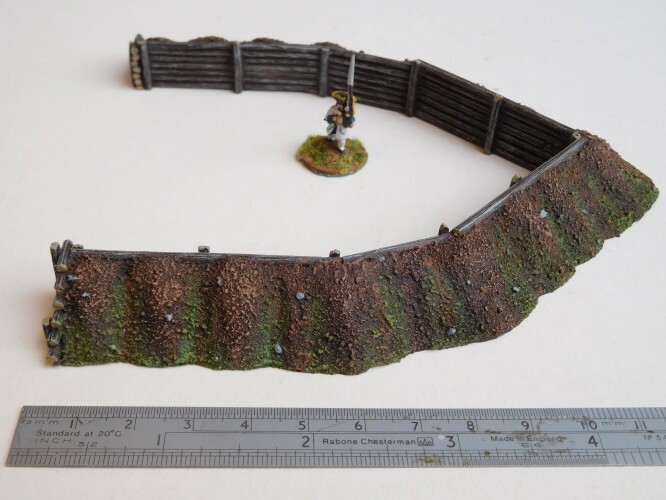 This is a 15mm or 1/100 apx scale model.